Welcome back to History Undressed, our regular first Tuesday blogger and author, Kathleen Bittner Roth! I don't know about you, but I love a good bath, and a hot tub is awesome, too. 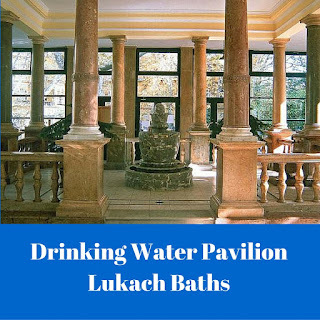 But a thermal bath??? Now you're talking! Enjoy! 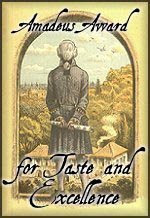 As an author, I can live anywhere. Currently, I reside in beautiful Budapest, Hungary. 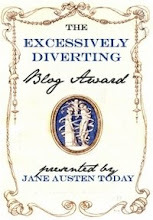 For how long, I do not know, but while I’m here, I am happily making the best of it. Budapest is such an amazing city. Merely stepping out my front door means a remarkable day is in the making. My tree-lined street is an enclave unto its own—venerable buildings adorned with statues and all manner of baroque ornamentation, a post office, hair salons, vegetable stands, restaurants, pubs, super market. A couple hundred feet to my right is a trolley stop. In minutes I can connect to all kinds of efficient transportation in the city. But turn left out my front door, walk to the end of the block, and I’m in beautiful City Park where I can find a castle, a lake, a skating palace (in summer the water is used for boating), museums, restaurants, a zoo, and one of Hungary’s many famous thermal baths. 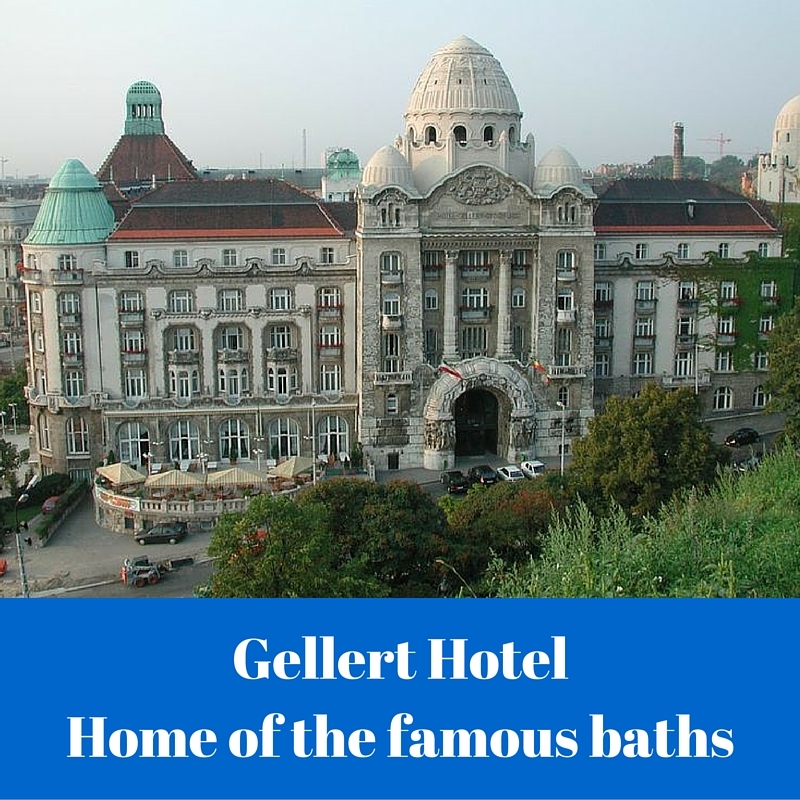 Did I say thermal baths? This thermal bath is my favorite. 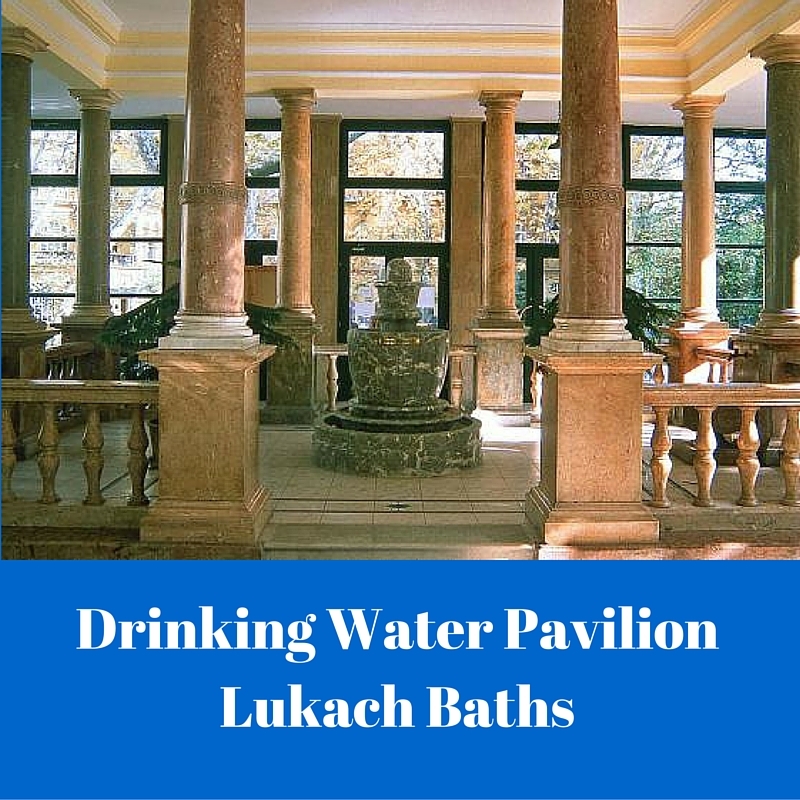 It is one of the largest spa complexes in Europe. And glory be, if this exquisite facility isn’t located in the park right down the street from me. A leisurely stroll and I am inside a grand neo-Baroque building, circa 1881. 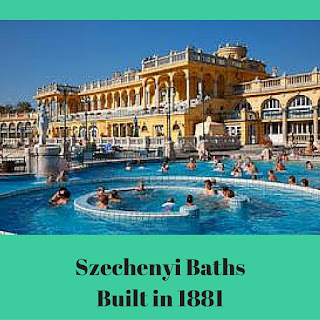 There are indoor pools and outdoor pools at Szechenyi—fifteen to be exact, one of them being an Olympic size pool kept at swimming temperature. My favorite is the huge outdoor pool that roils with clouds of steam when the hot thermal air connects with the icy air in winter. 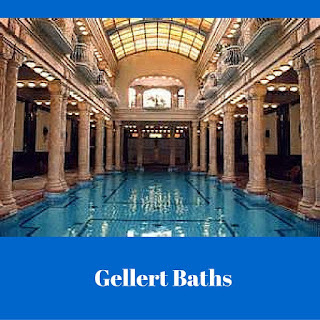 Public baths are cheap in Hungary, even cheaper if you have a doctor’s prescription for ailments such as an ailing back. Masseuses will crank your muscles every which way for not much money, and there’s a bar there should you thirst for anything from water to mixed drinks. 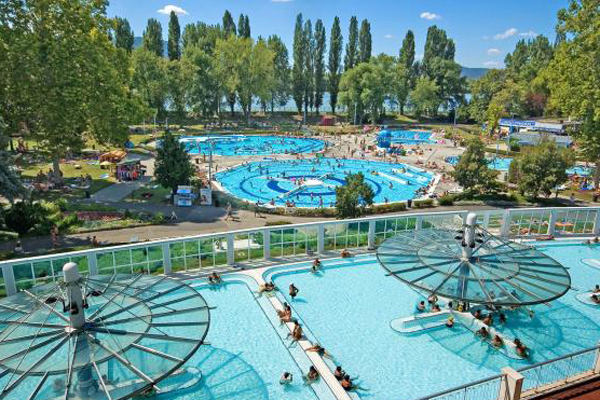 Located along the banks of the Danube (the river separates Buda from Pest), the hot springs the bubbled up were used by the Turks as early as the 15th century! 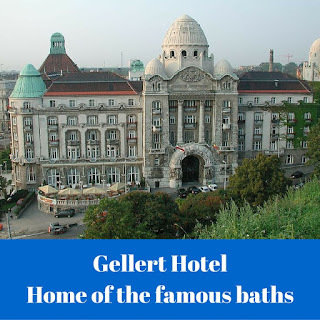 The baths have indoor and outdoor facilities and are connected to the famous Gellért Hotel. Photos don’t do this remarkable place justice. 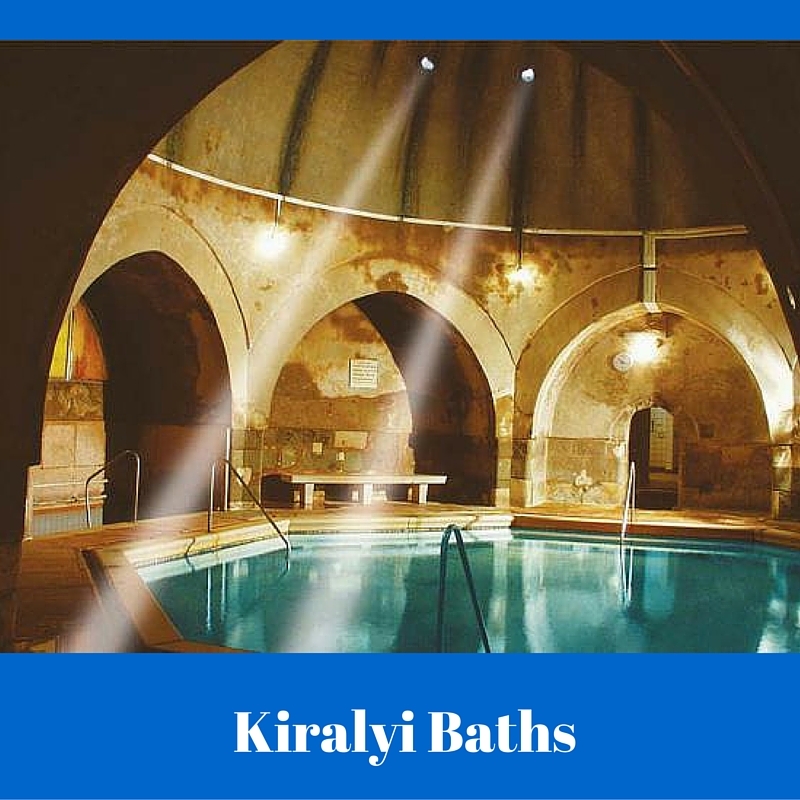 This thermal bath was built in the 16th century during the Turkish occupation and is still in operation! The tile work is amazing. 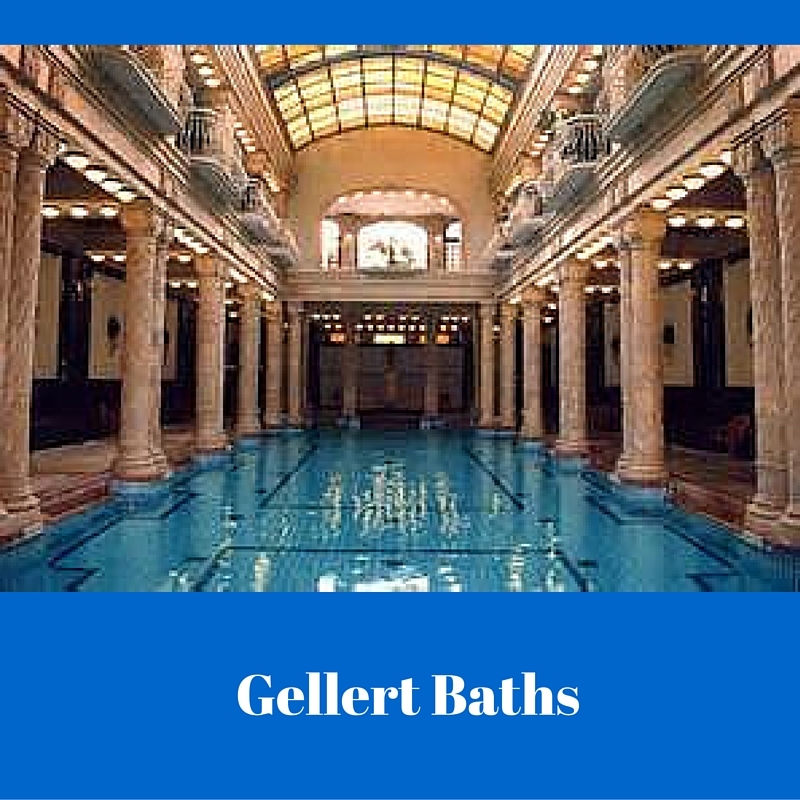 There is an octagonal pool with a cupola that is sustained by eight pillars. The water in these baths is full of minerals and is therapeutic. A day-time outpatient hospital runs here with a complex physiotherapy department. The baths operated during the time of the Turks, but in the 12th century, Knights in the Order of St. John used the thermal springs for healing purposes. 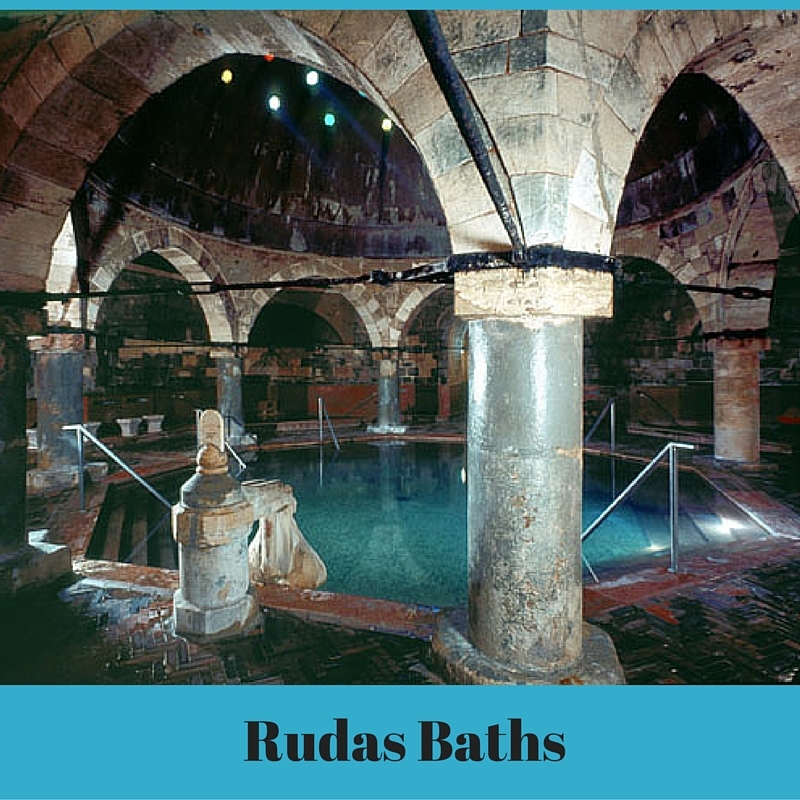 They were followed by the Knights Orders of Rhodos and Malta and their monastery baths were built there. The construction of this bath was under the command of Arsian, the Pasha of Buda in 1565, but he died and his successor, Sokoli Mustafa had it completed. In 1796 the bath was purchased by the König Family. It was damaged during WWII. A complete renovation back to its original form such as the Konig Family had it built, took place in 1950. 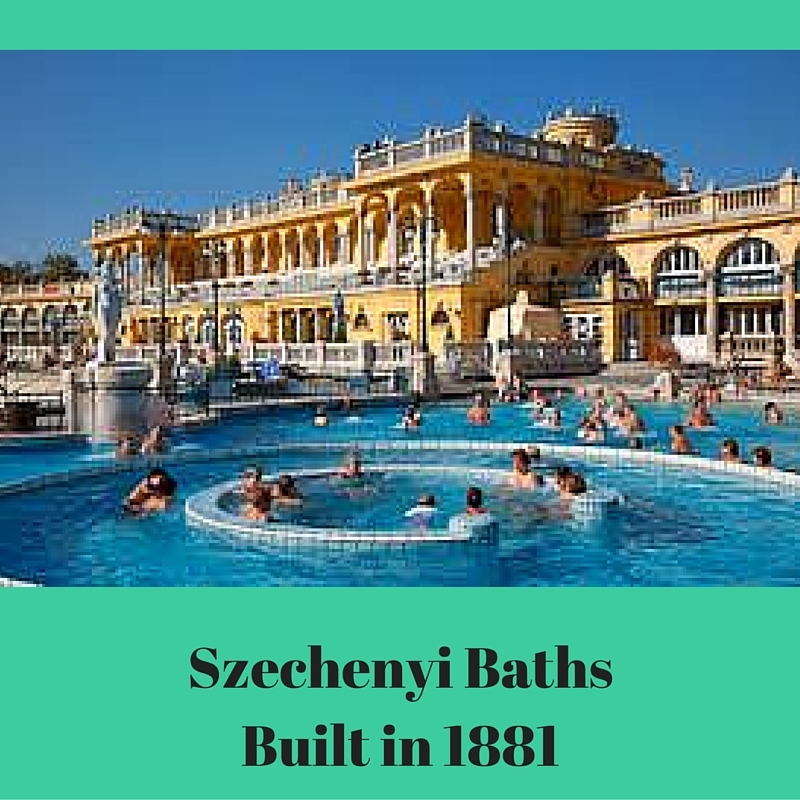 The thermal water here comes from the Szechenyi Bath. This is a picturesque outdoor area with ten various pools. The “fancy” pool as it’s called offers a wide variety of facilities such as an effervescent bed, a whirling corridor, neck showers, splashing sunbathing, not to mention a spectacular view. 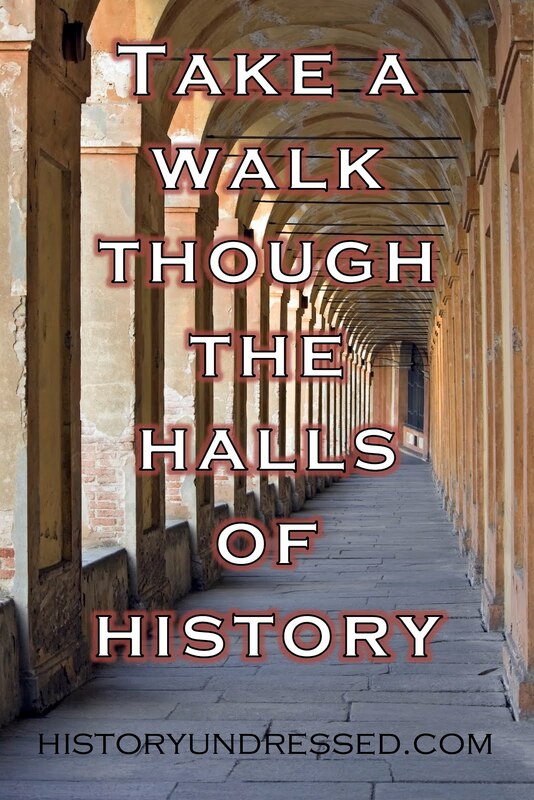 Where’s your favorite historical city or what city have you visited that has its special magic? 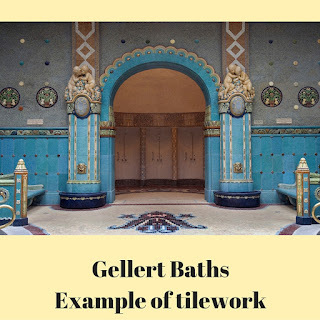 If you are ever in Budapest, there is so much to see, but you must take time to visit at least one of these baths. It’s an experience you will never forget. 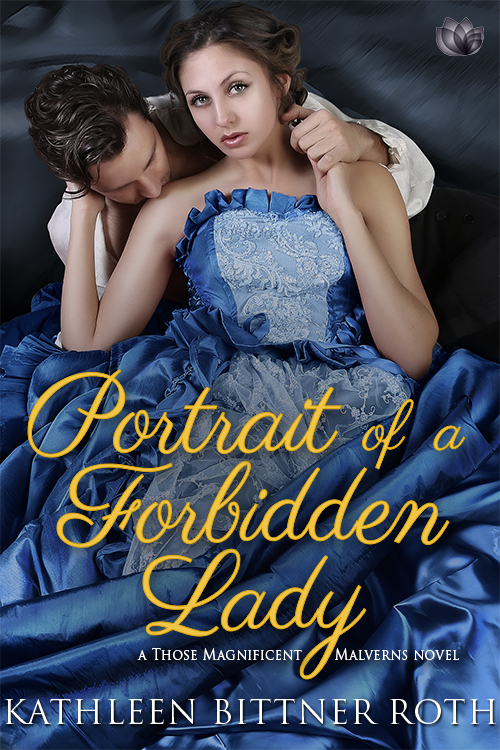 PORTRAIT OF A FORBIDDEN LADY is book two in Those Magnificent Malvern series and is due to release in March 21, 2016 (cover not yet available): A young widow returns to her childhood home after a forced absence and faces her first and only love, but despite their powerful attraction, danger compels her to remain his forbidden lady. PRE-ORDER YOUR COPY!